Even wild lions are ready to start meditating! Lion meditating. 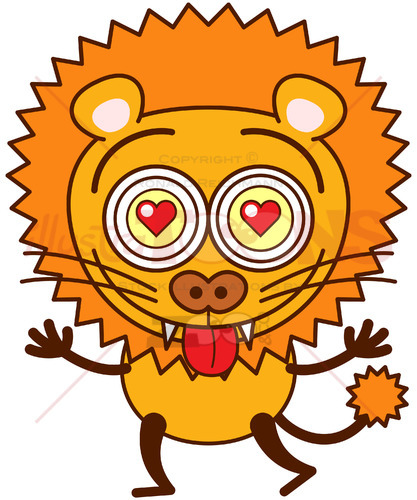 Cool cartoon lion with big orange mane, long tail and sharp teeth experimenting great relaxation while smiling with great joy. It keeps in seated position while doing a Gyan mudra sign with both hands. Download this cool lion meditating and get inspired to start your own meditation!